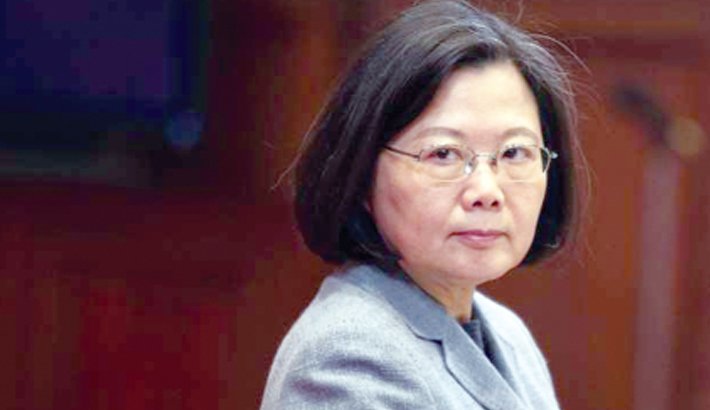 BEIJING: China on Thursday protested Taiwanese President Tsai Ing-wen’s stopover in the United States after a visit to three Pacific nations, calling on Washington to block her transit, reports AFP. “Any attempt to create... ‘one China, one Taiwan’ will be opposed by all Chinese people,” Chinese foreign ministry spokesman Geng Shuang said at a regular press briefing. During the Taiwanese leader’s last US visit, China lodged an official protest after she gave a speech in Los Angeles—the first time in 15 years that a Taiwanese leader spoke publicly on American soil.